Social media honeymoon heading to a forced end? Activists advocating for digital rights fear that Ugandans may no longer enjoy their freedoms to express their views using modern platforms of social media networks. The fears arise from recent orders by the industry regulator Uganda Communications Commission (UCC) to telecommunications companies to block the use of social media sites Facebook, Twitter and Whats App. The Unwanted Witness Uganda, an organization that focuses on online freedoms and rights warns that the restrictions could in fact be broadened in coming days and months if the government adopts recommendations from ruling party leaders who are calling for an indefinite shutdown of the Internet, accusing citizens of social media misuse. A number of Ugandans and electoral observers have criticized the outcome of the February 18, 2016 Presidential elections. 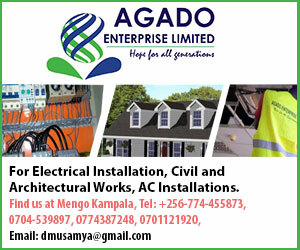 And since the EC announced the outcomes of the polls, social media platforms have been abuzz with people’s frustrations accusing the Electoral Commission of rigging for the incumbent President Yoweri Museveni. One of the presidential contenders in the Feb 18 poll Amama Mbabazi has gone to court to challenge Museveni’s victory. 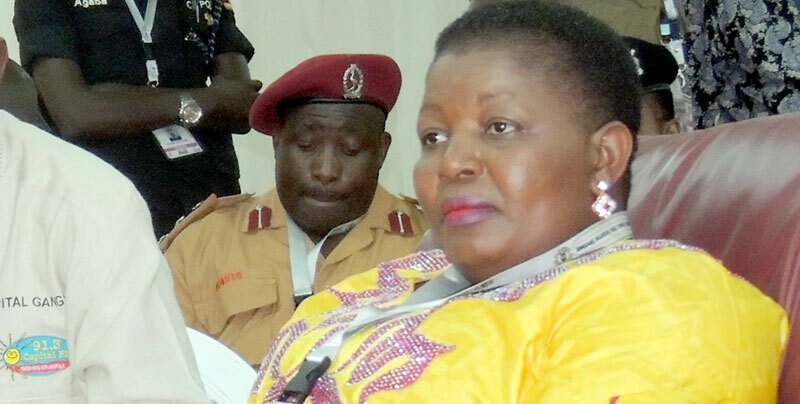 Writing on her Facebook page, the ruling NRM Secretary General Justine Kasule Lumumba (Pictured) recently warned social media users, alternatively known as micro-bloggers against misuse of social media saying she would work with authorities to have some people face criminal charges including threatening violence. Lumumba’s warning was taken a step further by newly elected Member of Parliament for Burahya County Margaret Muhanga Mugisa who used her social media page Facebook to demand that government shuts down the very platforms she was using forever. “It is getting out of hand…when people wake up and all they do is abuse and post derogatory stuff about people they don’t even know…” Muhanga wrote. Muhanga is a former journalist with The state-owned New Vision newspaper who moved from the media to work with State House. Despite what leaders of the Unwanted Witness say are mistakes made by social media users, adopting extreme measures such as those proposed by Muhanga would infringe on the rights of Ugandans and punish those that use it for productive purposes. The Unwanted Witness Chief Executive Officer Wokulira Ssebagala argues that shutting down the Internet will be a step in the wrong direction but solutions to post-election issues must be found by all participants. “We must have a dialogue on the best way to regulate social media to avoid curtailing citizens’ freedoms and rights” says Ssebagala. He further warns the NRM party against using its majority in Parliament to make repressive laws that suppress the rights of ordinary citizens. A few years ago, the United Nations declared that access to the Internet is a human right.